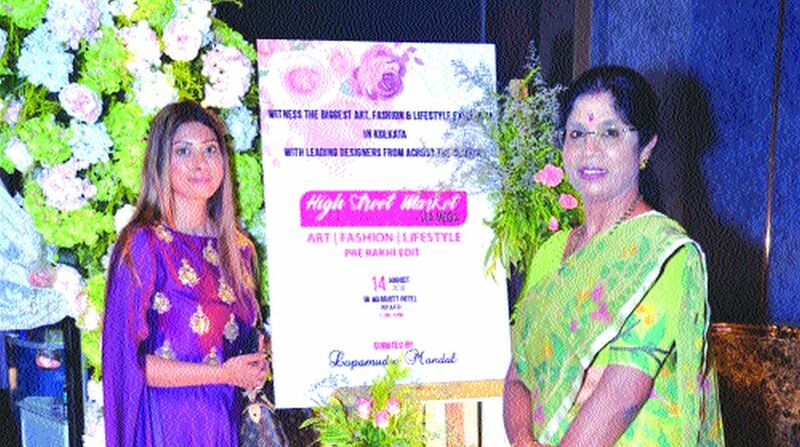 The city witnessed the unveiling of the annual ceremony of High Street Market Via Moda at JW Marriott, Kolkata, in the presence of chief guest Shashi Panja, minister of state for women and child and social welfare. Actress and interior designer Shreya Pande; Richa Sharma, Mrs India International; actress Suchandra Vaniya and Rita Bhimani were also present. The exhibition boasts of their specialisation in authentic traditional jewellery with a touch of a modern concept. The large range of contemporary and ethnic Rakhi collection of this exhibition created a new landmark, offering rare and impressive pieces of high quality work. Different designers from all over India participated in the exposition. Their works showcased various strokes, looking at various aspects of life, society and world in unique ways, with some exploring the close link of art and science.